Continuing with this year’s Halloween Week, here is one of our authors, Yukimi Ogawa, talking about Japanese monsters. Usually, Japanese “yokai” monsters have one job each. Uwan surprises humans with its cry, but doesn’t do much more; Betobeto-san sneaks up right behind you and haunts you with its footsteps, but if you let it overtake you, it will go away without much fuss. Azuki-togi washes azuki beans night after night, and all that which signifies its presence is the sound of the beans. Most of them are a comical depiction of our fears for the unknown, unseen. But I assure you, not all of them. Makura-Gaeshi, or the pillow flipper, is one of them. All it does is to flip a pillow while the human is asleep. In older times, people here believed that your soul is away from your body while you sleep. When your soul comes back to you, if your body is not in the right posture, your soul cannot go back in to your body. 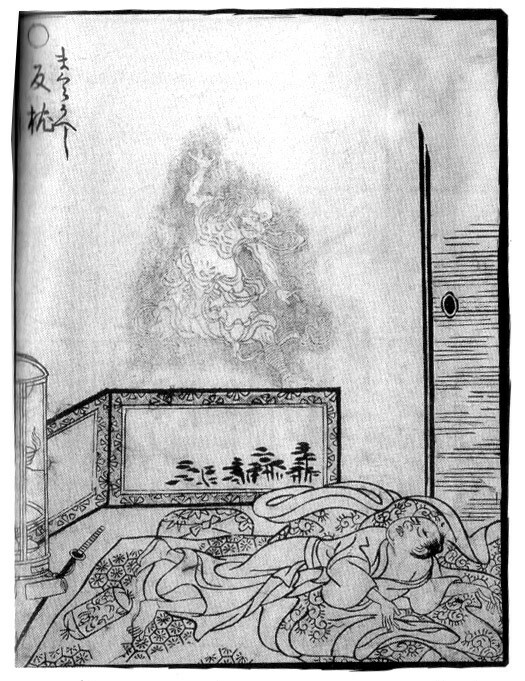 Makura-Gaeshi prevents your soul from rejoining your body in the wakefulness by flipping your pillow. Your soul forever severed from your body, naturally, you die. One of the most-feared yokai is Shichinin Misaki, or seven ghosts. Once you come upon these seven ghosts, there is no escaping the fate. You’ll suffer from fever for days, before, finally, your life is drained away and you yourself is a ghost. Then one of the seven Misaki’s soul goes on to rest in peace. Your soul takes its place, and again, there are seven Misaki. Another dreadful yokai is Iso Onna, or the shore woman. If you find a woman of striking beauty on the shore, do not talk to her. If you do—the next thing you know, her wet hair is everywhere, clinging to your skin and sucking your blood. 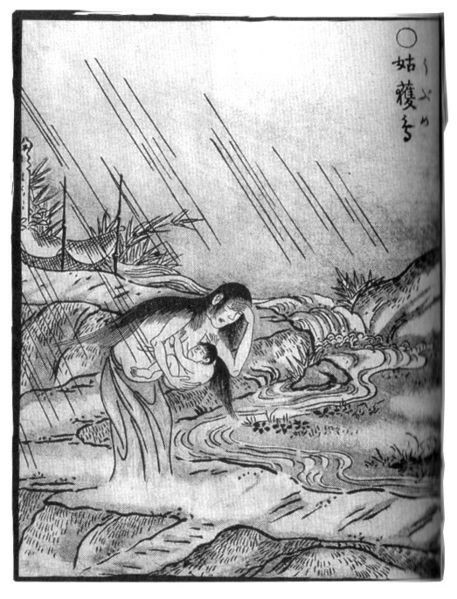 Ubume, a ghost of a pregnant woman, asks you to hold her baby, who becomes heavier and heavier until the weight crushes you dead. Snow woman shares a similar episode, where the baby makes you unable to move in the snow. Either way, if you see a lone woman who looks out of place, you’d better be very careful. Speaking of beauty, the most famous female yokai which came into stardom quite recently is Kuchi-sake Onna, or split-mouth woman. There are written incidents as far back as in the Edo era, but what we know of her today is the result of the outburst of rumour in the late 1970s. In a quiet, dimly-lit street, Kuchi-sake Onnna stands, wearing a mask. “Am I beautiful?” she asks you. If you say yes, she peels her mask off her face, to reveal a mouth open (literally) from ear to ear. If you say no? Well, she’ll stab you with her sharp knife on saying it, just like that. One peculiar thing about yokai is that they kept, and still keep, changing in accordance to time and place, or the people who talk of them. Kuchi-sake Onna’s transition was quite drastic, but in fact, there are many monsters which changed its looks, behaviours or even the legends to go with them. Yamanba, or mountain crone, who was at first just a very nice little woman living in the mountain who helped people’s work from time to time, later came to be thought of as a cruel bully. Konaki-Jijii started out as a yokai of an old man whose cry mocked that of an infant. These days, it is said that once you hold him thinking he is a stray infant, he becomes heavier and heavier in your arms and crushes you…dead. Sounds familiar, right? According to a study this aspect of his tale (being heavier to kill you) is thought to have been added much later. If this one is, then why not the others, for Ubume and the snow woman alike? There is no telling now. Yukimi Ogawa lives in a small town in Tokyo where she writes in English but never speaks the language. One of her stories was selected for The Year’s Best Science Fiction & Fantasy 2014. In Her Head, In Her Eyes is a creepy tale of Horror and is available now. Really enjoyed the article. I already knew some of these yokai, but others were completely new to me.